Who's been enjoying this weather? Me, Me, ME!!!! It is absolutely boiling in Nottingham, and I caught a bit of the sun. There is nothing better than having tanned skin and enjoying a beautiful weather. What I got up to those past few days is shopping, working and hitting the gym! I am determined to get very fit over the Summer just in time for my first girly holiday in August! Anyway, here are pics of a few things I recently bought. 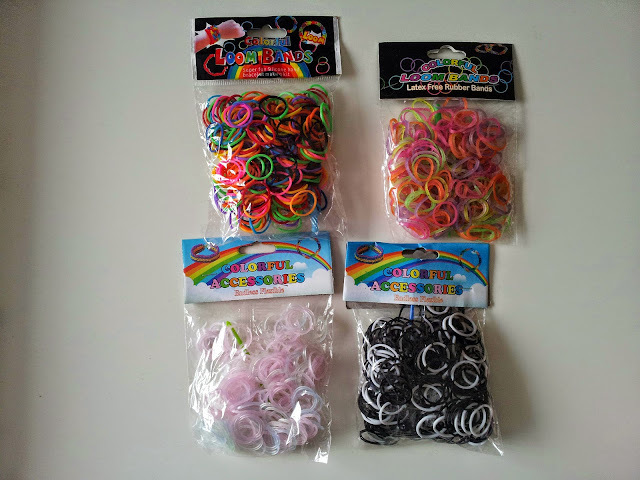 My little sister is obsessed with loom bands at the moment so I decided to buy some myself!! Primark sunnies are the best. The prices vary from £1-£3. 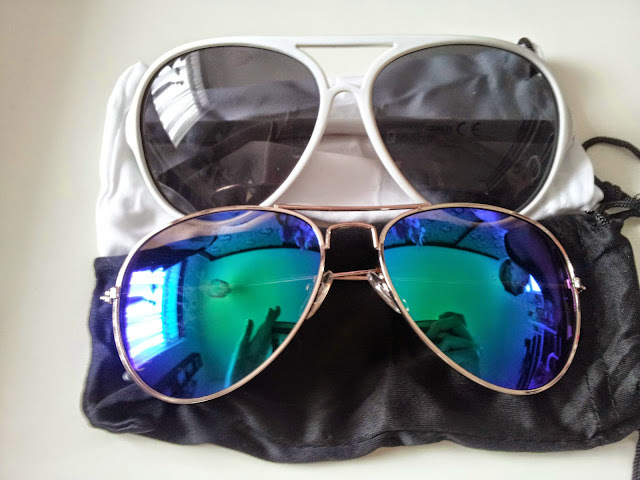 The white aviators were £1 and the mirror effect aviators were £2. 2 pairs for £3!!! BARGAIN! 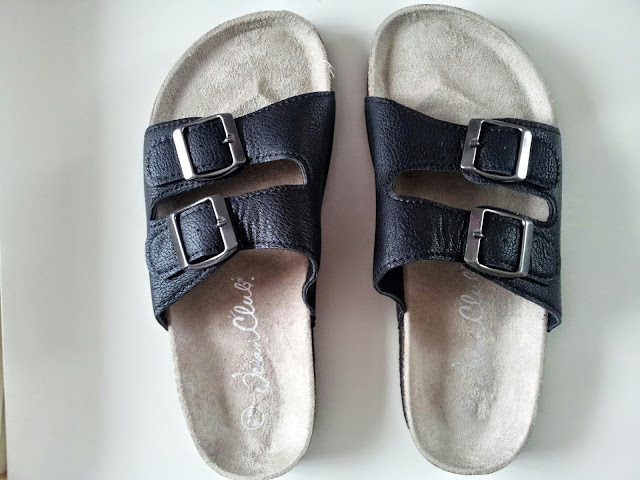 Birkenstocks are a bit expensive, so I opted for the cheaper way and got some look alike sandals for only £5 from Primark. I've been wearing them every day since the day I got them and that was over a week ago. They are extremely comfortable. 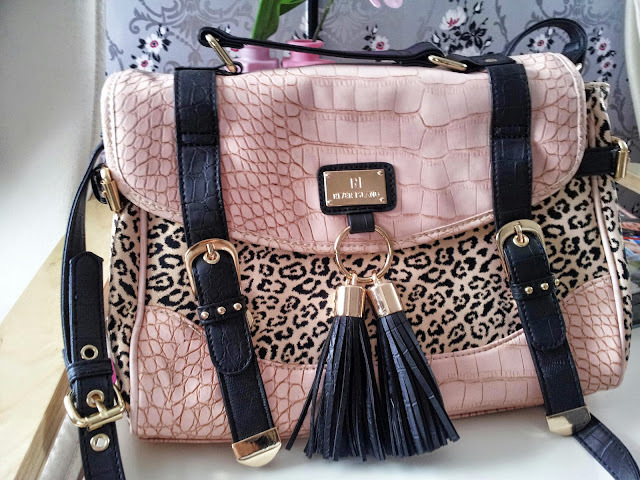 This gorgeous handbag cost me £35 from River Island. Pricey but totally worth it! I found this camisole in Vero Moda and had to try it on ASAP. It looks great on and weirdly suits my new hair colour! It was only £10, an amazing bargain especially as they accept NUS card so I got 10% off the bill. 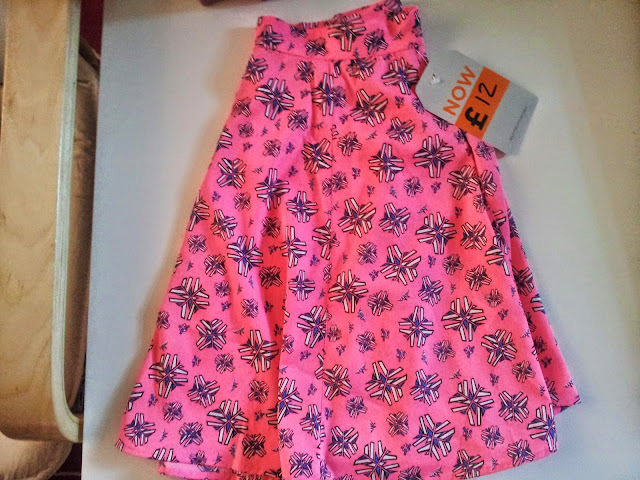 This lovely skater skirt was reduced to £12 from I think £25 or £30 which is also a total bargain. 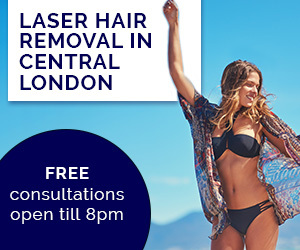 It's great for this Summer and will look fantastic with a tan. I've wanted to buy a 90's string top for a while now. 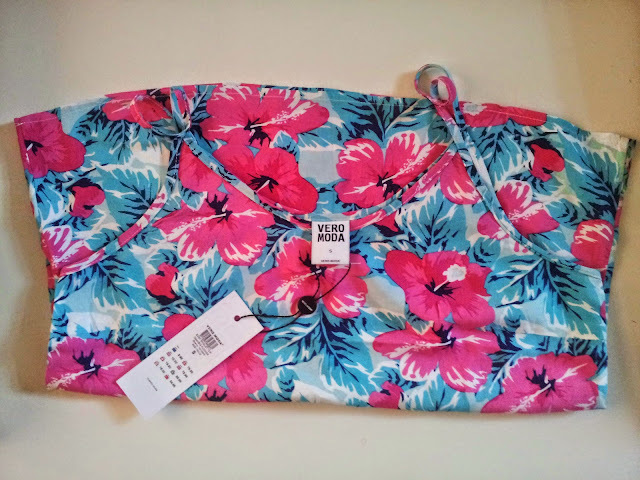 I had a look around a local Miss Selfridge store and couldn't find any that I liked off the website, and you know what it's like when it comes to online shopping - it doesn't always turn out so great and something might not suit you. 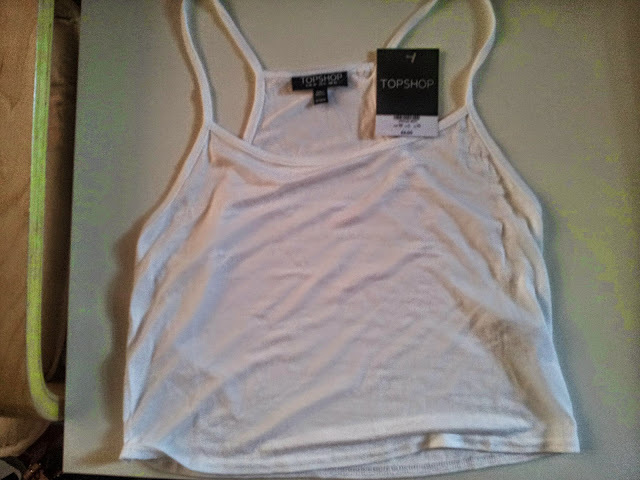 So I went into Topshop and found this lovely white top for only £6!!! I tried it on and really loved it. I will definitely purchase this top in more colours! 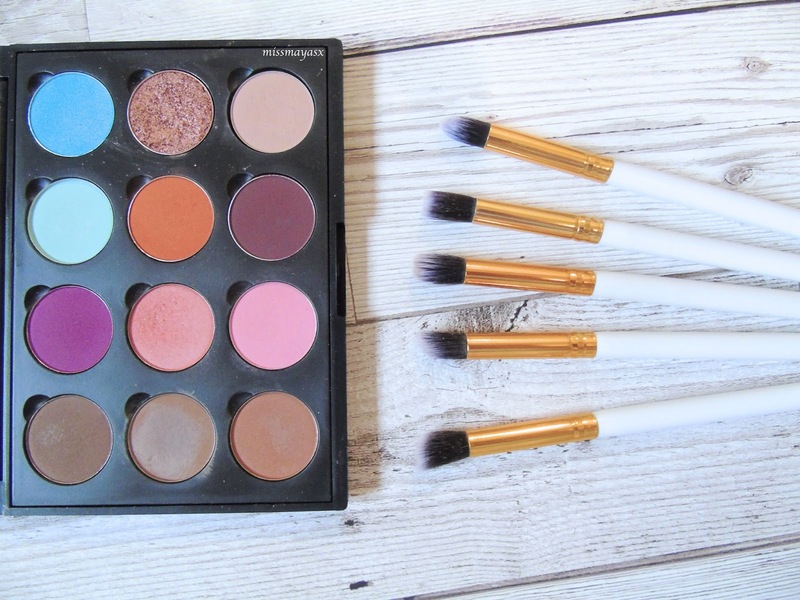 I've never tried Topshop's make-up but it would be a sin if I didn't buy these items for 50 PENCE EACH. 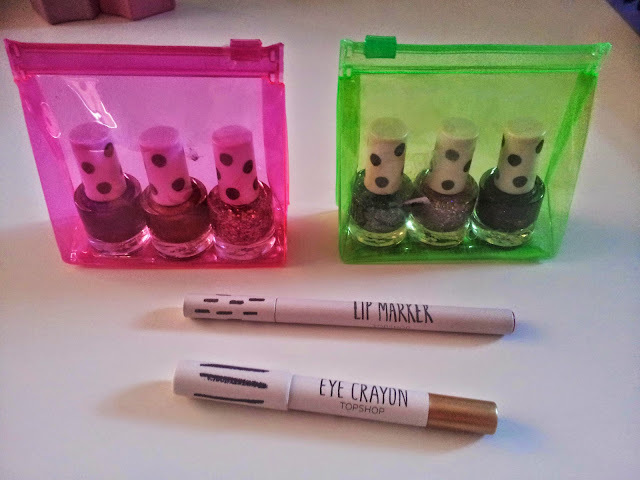 I found this eye crayon in gold, a lip marker (lip stain) in red, and two sets of nail varnishes in variety of colours. I shall do a review on those products very soon. This gorgeous velvet headband was reduced to £1 from £6 which is a total bargain for Topshop. Personally, I don't think I would have paid £6 for a headband as it's just an accessory. Oooh I'm loving those mirror sunnies! Can't believe the price either! May have to pop in my local primark and see if they have them.